Children need help with constructing sentences that are vibrant and interesting as well as being grammatically correct. The Sentence Maker Kit is a welcome addition to any Key Stage 1 classroom as it will enable teachers to teach the content and grammar of sentences in an engaging and clear way. The sentence making kit contains A6 cards that can be used in conjunction with demonstration writing, as extension tasks that will help children gain greater depth, or as prompts for the pupils and teachers during writing tasks. Children need help with constructing sentences that are vibrant and interesting as well as being grammatically correct. The Sentence Making Kit is a welcome addition to any Key Stage 1 classroom as it will enable teachers to teach the content and grammar of sentences in an engaging and clear way. 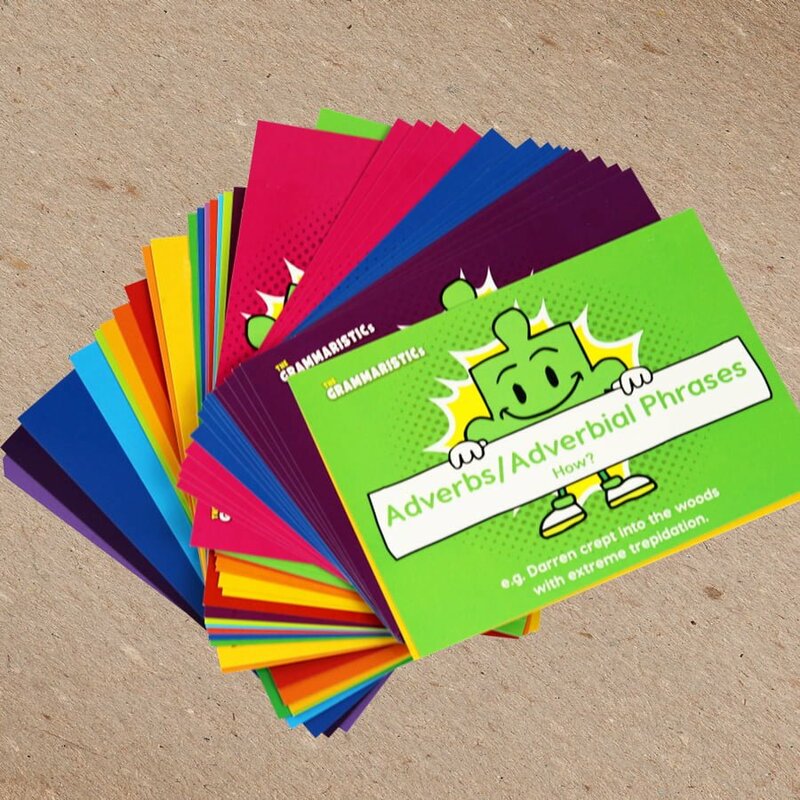 The sentence making kit contains A6 cards that can be used in conjunction with demonstration writing, as extension tasks that will help children gain greater depth, or as prompts for the pupils and teachers during writing tasks. Teaching Grammar in Context: Children need help with constructing sentences that are vibrant and interesting as well as being grammatically correct. The Sentence Making Kit is a welcome addition to any Key Stage 1 classroom as it will enable teachers to teach the content and grammar of sentences in an engaging and clear way. This physical resource opens up discussion and ideas about what their sentences are going to be about. 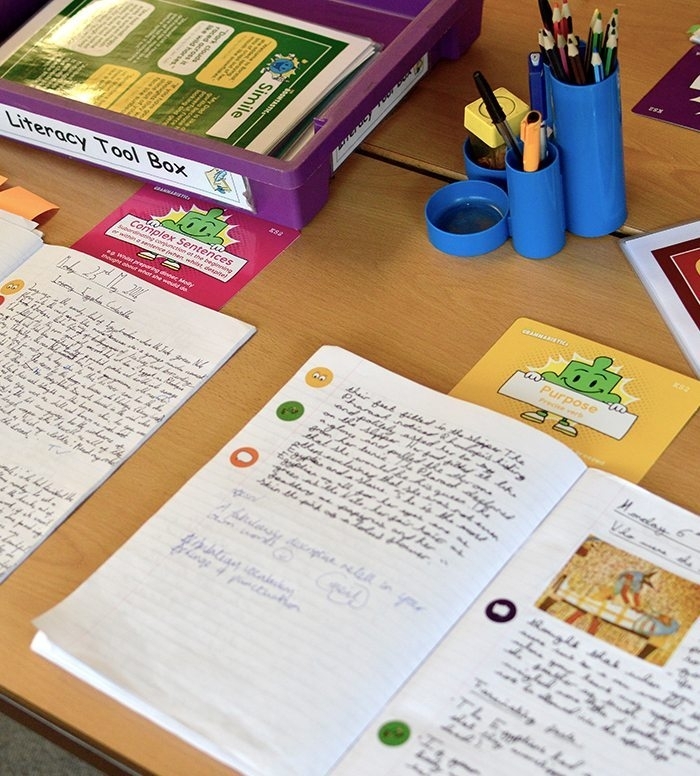 The BOOMTASTICs are a Key Stage 1 appropriate range of poetic and stylistic devices that support pupils’ writing to “boom” off the page and attract the reader’s attention. 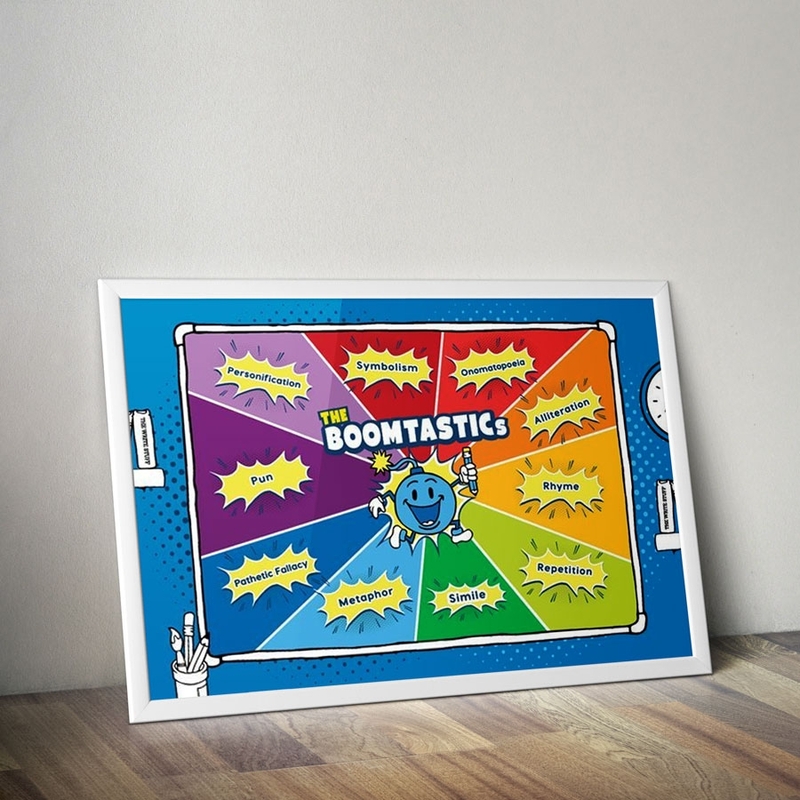 Examples of the BOOMTASTICs include onomatopoeia, alliteration and repetition. Children enjoy shaping up their sentences to showcase some of these devices in their own work. This is a comprehensive collection of cards known as the Grammaristics. Each card denotes one of the grammar requirements for Key Stage 1 and all grammar aspects are covered from year 1 and year 2. Each grammar technique card has a clear example and pupils can begin to layer these grammar aspects both into their talk and writing. Once pupils understand how to construct sentences in this way they can then experiment with combinations across the FANTASTICs, BOOMTASTICs and the GRAMMARISTICs making them highly adept at manipulating sentences through content, style and technique.